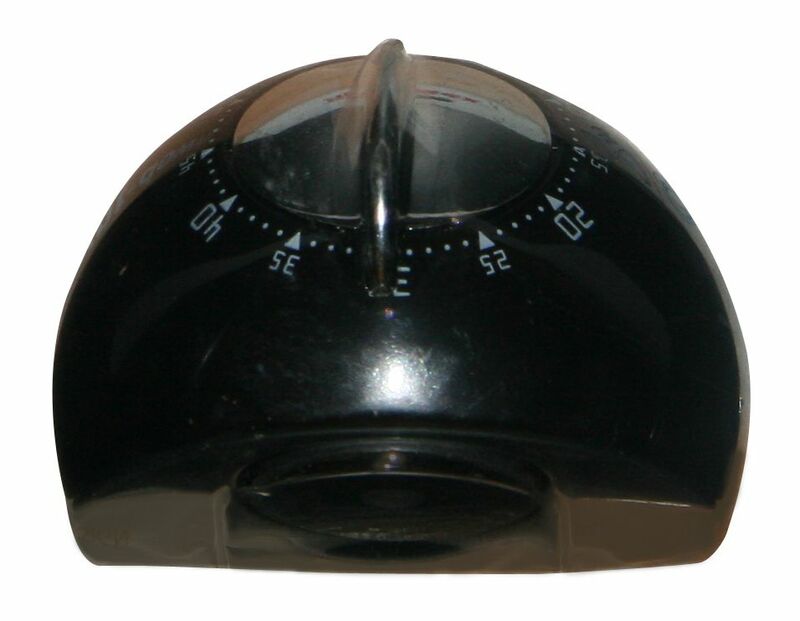 This auto shut-off timer is perfect for controlling the on/off function of lights, exhaust fans or heaters inside your home. Reducing their operation time will save you energy dollars. Just turn the dial for up to 30 minutes of run time. The Maestro Countdown Timer Switch helps you save money and energy by automatically turning off the lights and fans after a present time. Using the Maestro Countdown timer on bathroom exhaust fans can reduce the chance of a costly meld problem, and timers attached to garage lights can add an extra layer of safety when you return home at night. Use the large tap switch to turn the timer on and off, and use the rocker on the side to set the timer to the desired time-out option, anywhere from 5-60 minutes. Save energy by using the Maestro Countdown Timer in closets, attics, basements, and other low-traffic areas to ensure the light is never left on for a long time. Coordinating Claro wall plate sold separately. Count-Down Kitchen Timer (With Magnet) White Whether it's for a birthday party, a gathering of friends or simply an afternoon snack, you can always find a reason to bake some delicious homemade treats. With the new Dolceforno line of baking utensils from Metaltex, preparing cakes, cookies and pastries is now an easy and enjoyable task.